As in riots, social disarray, plundering, and chaos. A non-trivial number of these people think the rioting in places such as Greece and England is just the tip of the iceberg, and they have plans – if bad things begin to happen – to escape to jurisdictions ranging from Australia to Costa Rica (several of them remarked that they no longer see the U.S. as a good long-run refuge). This was rather sobering. I’ve never been an optimist about Europe’s future, as I explain here and here, but is the situation really this bad? Well, the U.K. government seems to think things will get worse. Here are some excerpts from the Telegraph. British ministers privately warned that the break-up of the euro, once almost unthinkable, is now increasingly plausible. 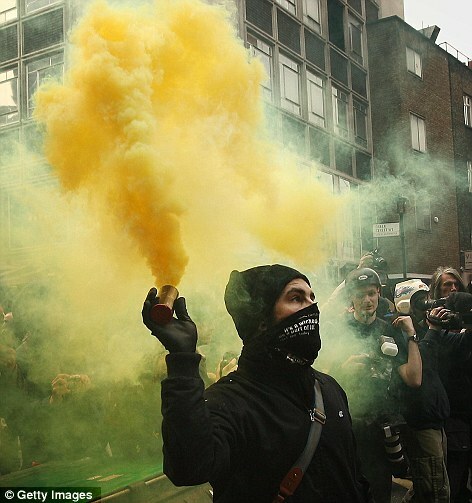 Diplomats are preparing to help Britons abroad through a banking collapse and even riots arising from the debt crisis. The Treasury confirmed earlier this month that contingency planning for a collapse is now under way. …Recent Foreign and Commonwealth Office instructions to embassies and consulates request contingency planning for extreme scenarios including rioting and social unrest. …Diplomats have also been told to prepare to help tens of thousands of British citizens in eurozone countries with the consequences of a financial collapse that would leave them unable to access bank accounts or even withdraw cash. …Analysts at UBS, an investment bank earlier this year warned that the most extreme consequences of a break-up include risks to basic property rights and the threat of civil disorder. “When the unemployment consequences are factored in, it is virtually impossible to consider a break-up scenario without some serious social consequences,” UBS said. Let’s think about what this means, and we’ll start with an assumption that European politicians won’t follow my sage advice and that they’ll instead continue to kick the can down the road – thus making the debt bubble even bigger and creating the conditions for a nasty collapse. 1. Respect for the Constitution. 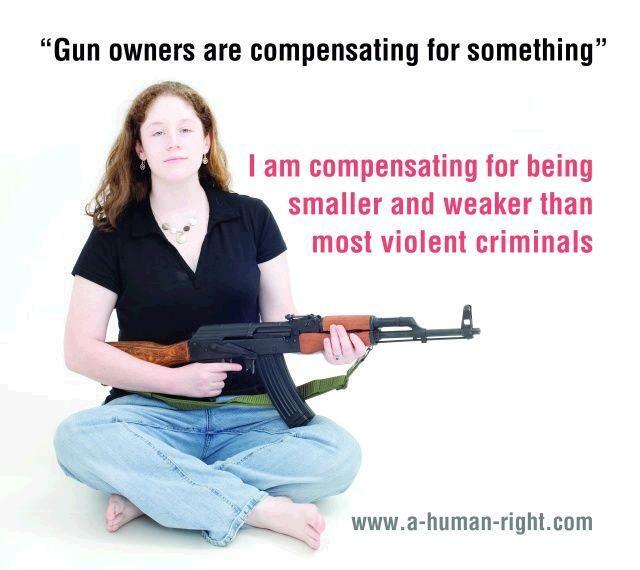 The Founding Fathers were wise to include “the right of the people to keep and bear arms” in the Bill of Rights. The Second Amendment recognizes the value of a well-armed citizenry, and today’s politicians (or courts) shouldn’t be allowed to weaken that fundamental freedom. 2. The presumption of liberty. It’s sometimes said that everything that isn’t expressly forbidden is allowed in the United States, whereas in Europe it’s the other way around, with everything forbidden unless explicitly permitted. This certainly seems to be the case for guns, with most European governments prohibiting firearms ownership for the vast majority of people. 3. Personal protection against crime. As the first image in this post powerfully illustrates, it doesn’t really matter if cops are only a few minutes away when a person only has a few seconds to protect against danger. And since the evidence is overwhelming that gun ownership reduces crime, this is a powerful argument for the Second Amendment. 4. Ability to resist government oppression. Totalitarian governments invariably seek to disarm people, as this poster indicates. And with the majority of the world still living in nations that are not free, private gun ownership is at least a potential limit on thuggish governments. 5. Personal protection against social breakdown. 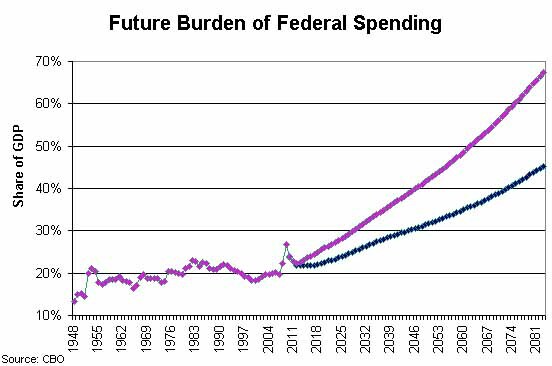 If politicians destroy the economic system with too much debt and too much dependency, firearms will be the first and last line of defense against those who would plunder and pillage. Here’s a thought experiment to drive the point home. If Europe does collapse, which people do you think will be in better shape to preserve civilization, the well-armed Swiss or the disarmed Brits? I hope we never have to find out, but I know which society has a better chance of surviving. I wrote earlier this year about the connection between a morally corrupt welfare state and the riots in the United Kingdom. But what’s happening now is not just some left-wing punks engaging in political street theater. Instead, the U.K. is dealing with a bigger problem of societal decay caused in part by a government’s failure to fulfill one of its few legitimate functions – protection of property. To make matters worse, the political class has disarmed law-abiding people, thus exacerbating the risks. These two photos are a pretty good summary of what this means. On the left, we have Korean entrepreneurs using guns to defend themselves from murdering thugs during the 1992 LA riots. On the right, we have Turkish entrepreneurs reduced to using their fists (and some hidden knives, I hope) to protect themselves in London. Which group do you think has a better chance of surviving when things spiral out of control? When the welfare state collapses, will the Koreans or the Turks be in a better position to protect themselves? And what does it say about the morality of a political class that wants innocent people to be vulnerable when bad government policies lead to chaos? 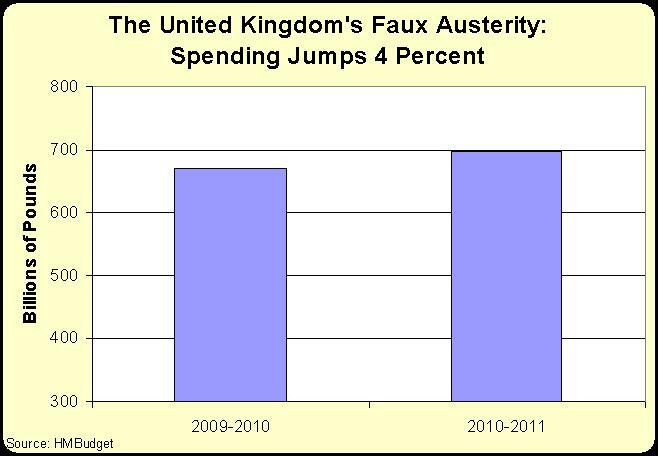 Speaking of chaos, let’s look at the “root causes” of the riots and looting in the United Kingdom. Allister Heath is the Editor of City A.M. in London, and normally I follow his economic insights, but his analysis of the turmoil is superb as well. Here’s an excerpt. But as Instapundit likes to say, read the whole article. Debilitating, widespread fear. The country held to ransom by feckless youths. Thousands of shocked Londoners cowering in their homes, with many shops, banks and offices shutting early. …It no longer feels as if we live in a civilised country. The cause of the riots is the looters; opportunistic, greedy, arrogant and amoral young criminals who believe that they have the right to steal, burn and destroy other people’s property. There were no extenuating circumstances, no excuses. …decades of failed social, educational, family and microeconomic policies, which means that a large chunk of the UK has become alienated from mainstream society, culturally impoverished, bereft of role models, permanently workless and trapped and dependent on welfare or the shadow economy. For this the establishment and the dominant politically correct ideology are to blame: they deemed it acceptable to permanently chuck welfare money… Criminals need to fear the possibility and consequence of arrest; if they do not, they suddenly realise that the emperor has no clothes. At some point, something was bound to happen to trigger both these forces and for consumerist thugs to let themselves loose on innocent bystanders. …the argument made by some that the riots were “caused” or “provoked” by cuts, university fees or unemployment is wrong-headed. …the state will spend 50.1 per cent of GDP this year; state spending has still been rising by 2 per cent year on year in cash terms. It has never been as high as it is today – in fact, it is squeezing out private sector growth and hence reducing opportunities and jobs. …This wasn’t a political protest, it was thievery. …We need to see New York style zero tolerance policing, with all offences, however minor, prosecuted. But what matters right now is to regain control, to stamp out the violence and to arrest, prosecute and jail as many thugs as possible. The law-abiding mainstream majority feels that it has been abandoned and betrayed by the establishment and is very, very angry. I’m just making up the 1.94 percent number, but the International Herald Tribune reported last year that unfunded liabilities in France are nearly 550 percent of GDP. The news reports don’t include any estimates of what Sarkozy’s reform will mean, but I would be surprised if it had a big impact on France’s long-run fiscal nightmare. But, as the old saying goes, a journey of a thousand miles begins with a first step, and Sarkozy has pushed through the reforms notwithstanding protests and riots from left-wing unions and brain-dead students (who don’t seem to realize that they’ll pay even higher taxes if entitlements aren’t reformed). Under pressure from the government, the French Senate voted Friday to raise the retirement age from 60 to 62, a victory for President Nicolas Sarkozy after days of street rage, acrimonious debate and strikes that dried up the supply of gasoline across the country. The vote all but sealed passage of the highly unpopular measure, but it was unlikely to end the increasingly radicalized protests. The coming days promised more work stoppages and demonstrations by those who feel changing the retirement age threatens a French birthright. …Leftist critics called the move a denial of democracy by an increasingly confrontational president. “No, you haven’t finished with retirement. You haven’t finished with the French,” said Socialist Sen. Jean-Pierre Bel, alluding to an apparently unflagging determination by unions, now joined by students, to keep protests alive — even through the upcoming week of school holidays.